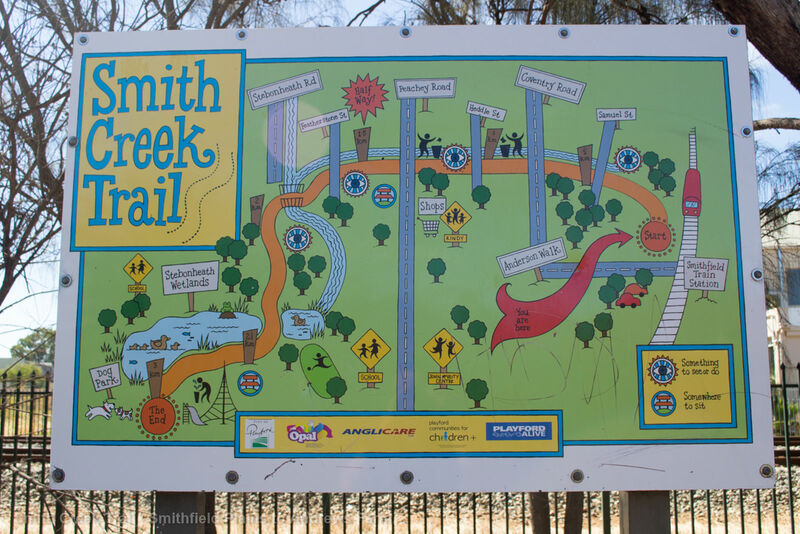 The Smith Creek Trail is a family-friendly path that winds its way from the Smithfield Railway Station to Stebonheath Park at Andrews Farm. 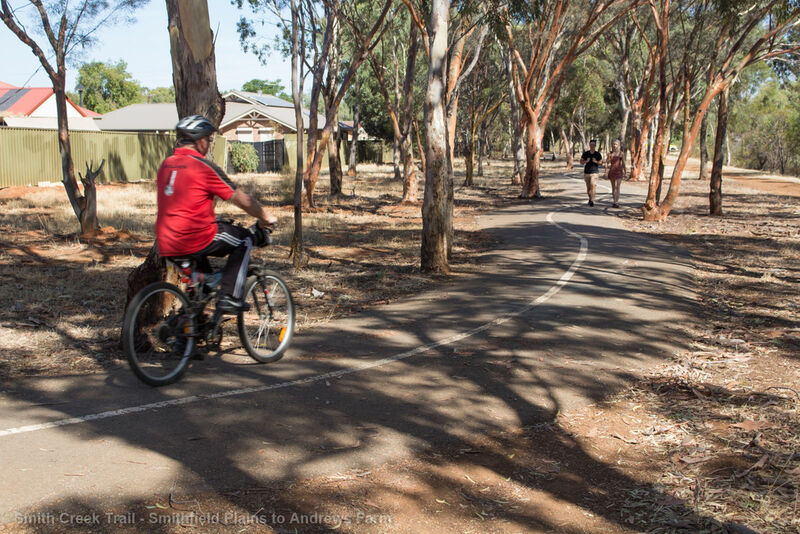 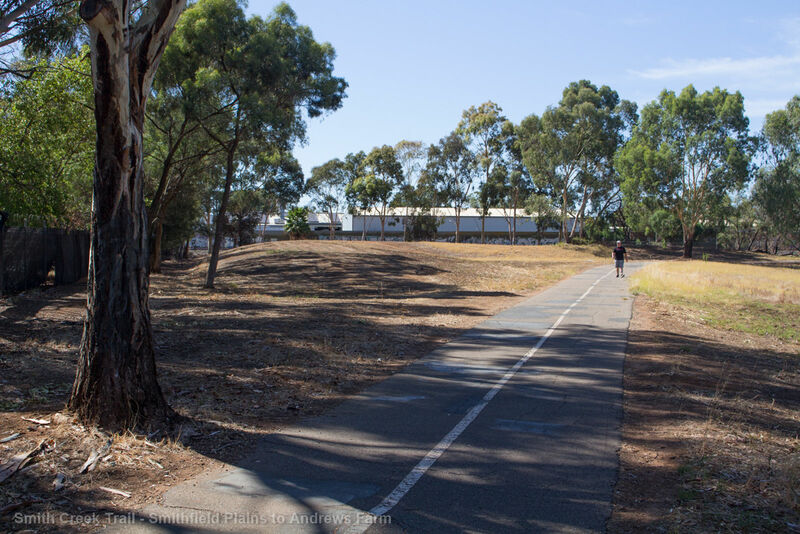 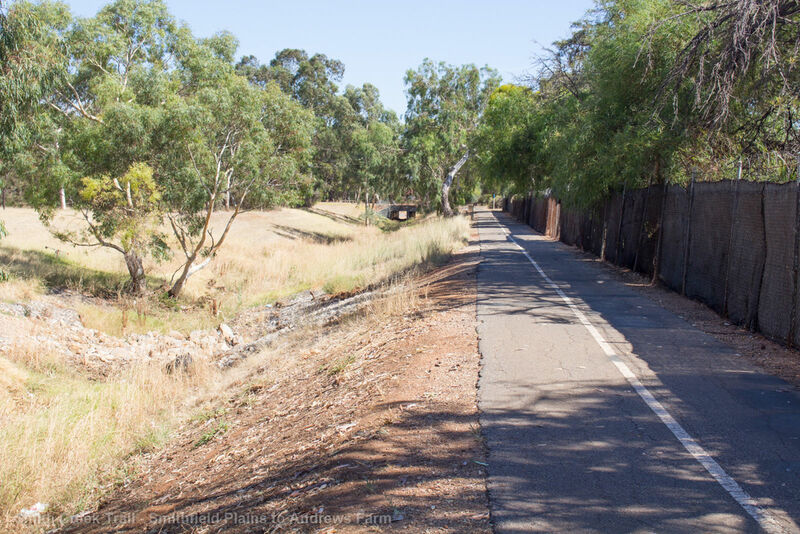 The majority of the three kilometre trail is bitumen, making it perfect for children and families walking, scooting or cycling. 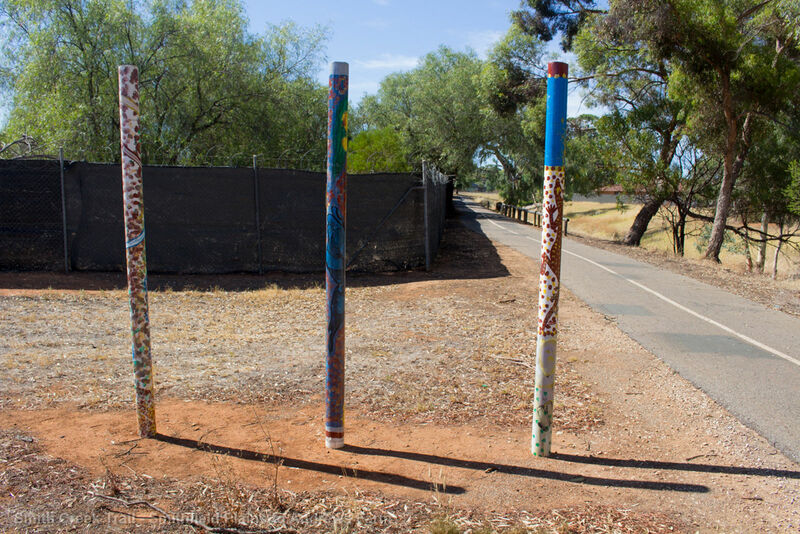 Way-finding maps are located at either end of the trail, with artwork, bollards and other points of interest along the way. 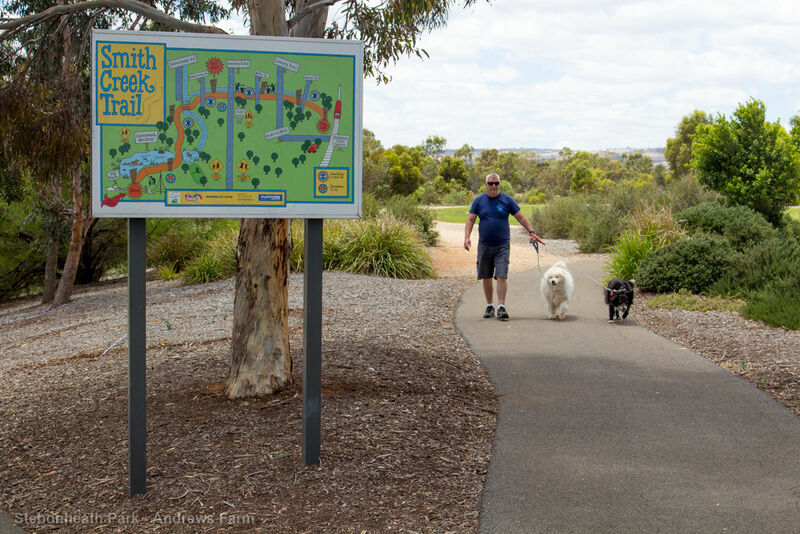 Hundreds of local residents have been involved in upgrading the Smith Creek Trail into a more family-friendly space. 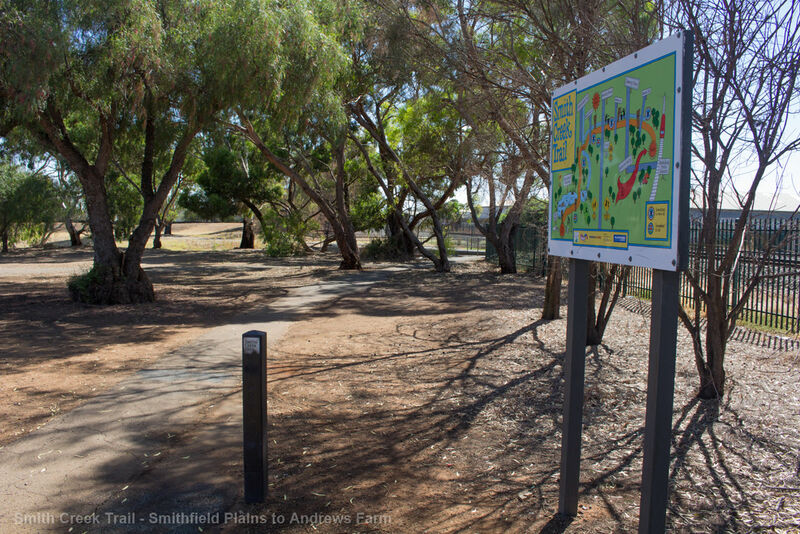 Children at local primary schools have been involved in designing trail maps, artwork for the footpaths and trail markers along the trail. 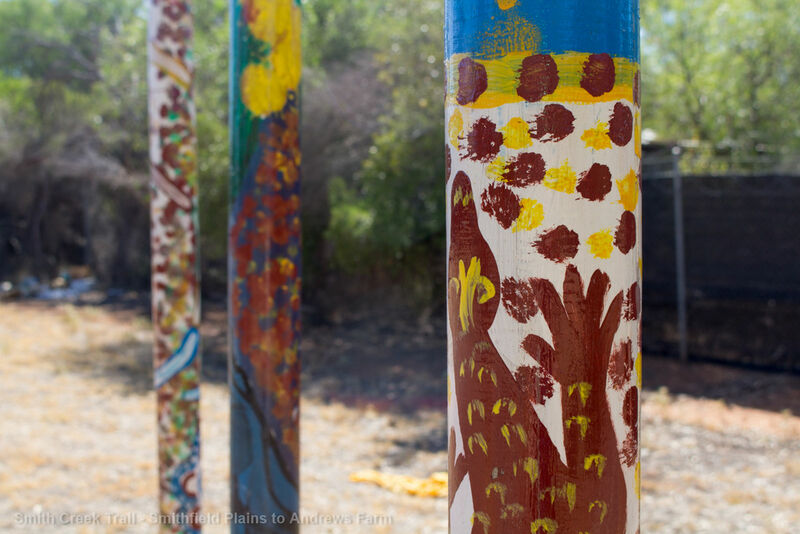 The trail maps at either end of the trail show the locations of artwork and points of interest along the journey. 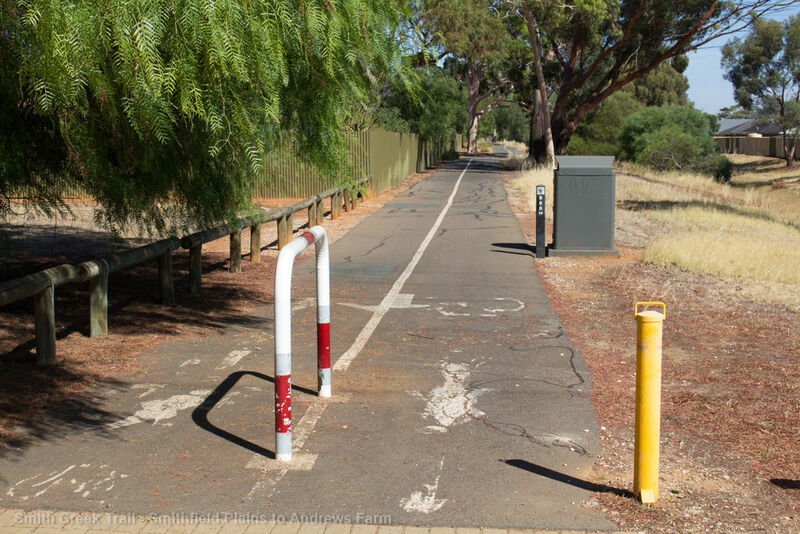 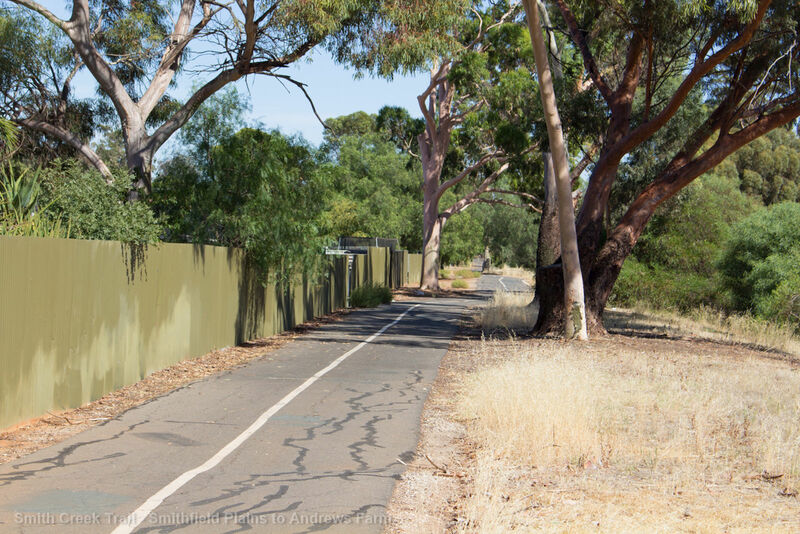 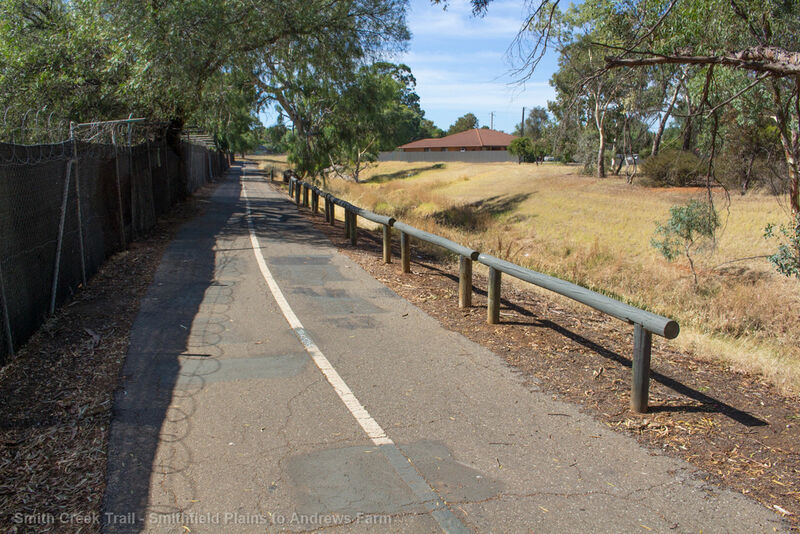 The new trail bollards mark every 200 metres along the trail and installations such as bins and way-finding signage are in response to community needs expressed through the consultation process. 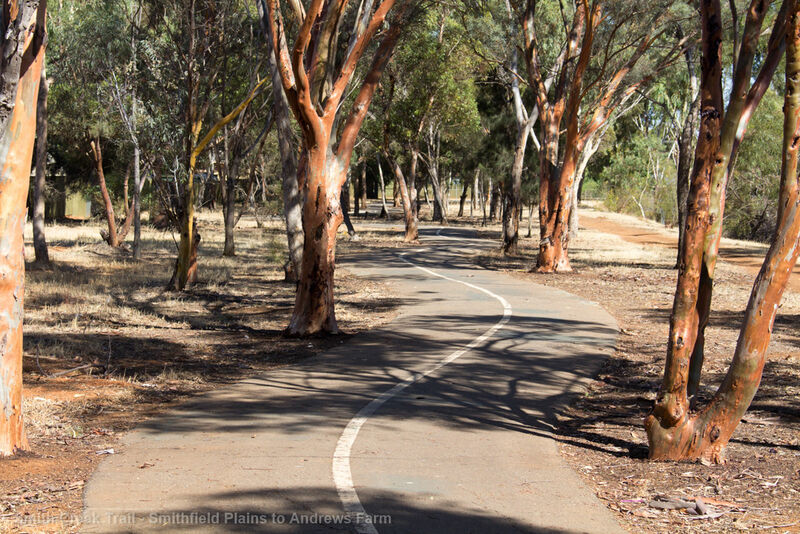 The new trail was launched in October 2013, with many local families participating in a fun walk or ride along a section of the trail. 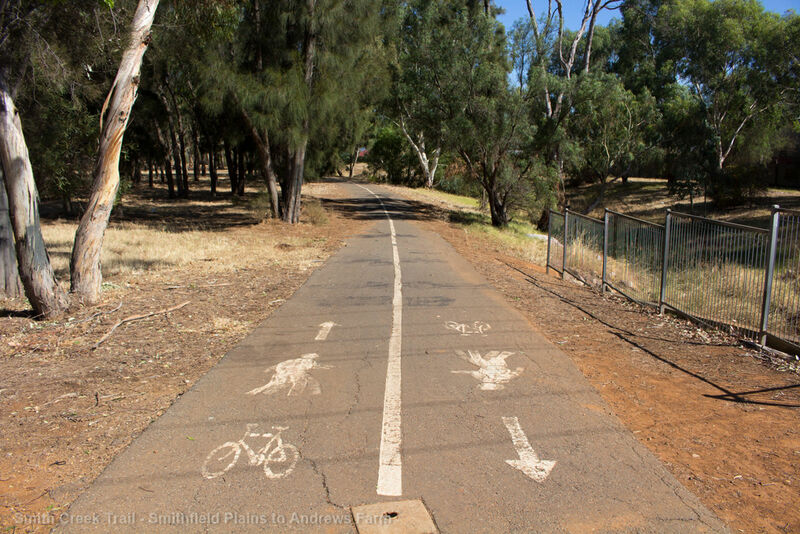 A map of the trail location can be downloaded below.